If you are travelling on a budget & want to stay in a place where you can drift off & wake to awe-inspiring views, you should try hotel Horizontes Los Jazmines. 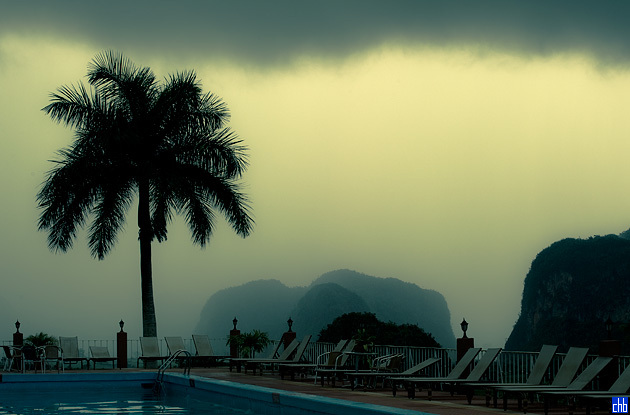 Los Jazmines is located in an enviable position looking out over the stunning Vinales valley, with picturesque peaks you’ll see alternately bathed in sun, moon & mist – making this hotel a must for photography enthusiasts. 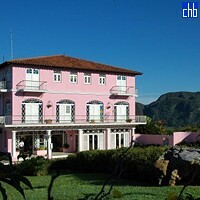 Horizontes Los Jazmines is a budget hotel whose charm goes beyond its fabulous views, with some of the friendliest staff you are likely to meet in Cuba. You will find all you need for a relaxing break on site, including an attractive mahogany-fitted bar, souvenir shop & spa where you can unwind with a massage. Los Jazmines has a large, well-maintained pool with amazing views over the valley, while local attractions such as the limestone caves, Vinales tour & tobacco farms can also be booked through the hotel. The restaurant & snack bar serve decent quality food, particularly at breakfast, while there are also a number of excellent paladars nearby so you should eat well whatever you choose. 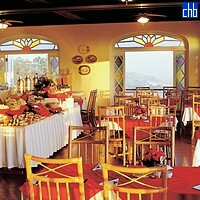 On the top floor of the hotel, the restaurant has vintage stained glass windows as well as an amazing backdrop. 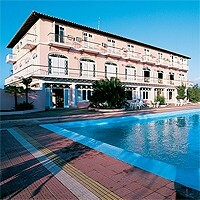 Los Jazmines hotel is tired in some places & would benefit from refurbishment. 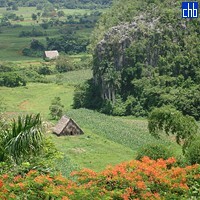 However, you will find a warm welcome, excellent service & the most unique, breathtaking views; all at a budget price. And if you bring a camera you won’t be disappointed. The main building at Los Jazmines has 78 rooms with standard features such as air conditioning, satellite TV, mini-bar, safe & balcony or terrace. 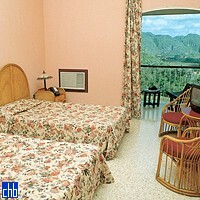 All are ensuite with some rooms adapted for disabled guests. The standard rooms have plain, old-fashioned decoration but are clean & comfortable with fine views, especially on the higher floors. While the rooms in the main building’s upper floors have the best views, you can enjoy good views from your own porch in one of the Los Jazmines’s 16 tropical rooms. Guests who upgrade can enjoy larger rooms with high ceilings, while the porch rocking chair is a great way to unwind & soak up some of the best sights in Cuba. Added values of VIP Junior Suites at Hotel Los Jazmines are EXPRESS check-in & check-out; minibar refielled daily with 2 national non-alcholic drinks & 1 bottle of water; 2 drinks included in every meal (drink selected + glass of wine); room serice from 8.00 a.m. to 10.00 p.m.